The Italian team behind MyLostBlog have unearthed some very interesting data on the Windows Phone 7 Marketplace, its app store, that anyone following the mobile space will want to see. How fast is the store growing, what is the average application price, and how many apps are available now? We know all that and more. As a short disclaimer, we are translating all of this from Italian, so if a slight error is made please grant us your patience. Now, let’s start with the total number of applications available on Windows Phone 7: 1,636 as of today. How does that compare to the start of this month? It is a large rise of 445 apps from the reported total on the 1st, 1191 applications. Taking the difference between 1636 and 1191, 445, as a percentage of 1191 we can see that the WP7 Marketplace has grow 37% so far this month, in little over a week. While we expect the percent rate to decline, people were likely shooting to get their apps out before launch, we expect the total number of applications to continue to grow as the phones establish themselves around the world. The average application price is around 1.2 Euros or $1.67, and the average application price paid by users so far taking into account free applications is 0.68 Euros, or $0.95. The total cost of the Marketplace, if you were to buy every application, would cost you around 1600 Euros, or around $2,227. Now, we have other data to get into. There are 468 free applications in the app store compared to 751 applications at the $1 and €1 price point. Of all the 1636 applications, some 427 are games, 200 are designated as tools, 176 relate to entertainment, and 131 focus on finance. The current Marketplace app distribution seems to be well distributed among categories, something that is not guaranteed when the total app pool is so small. What does all this mean? 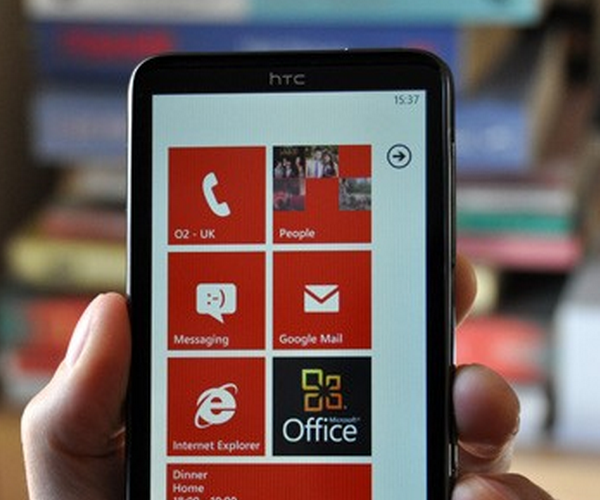 Developers are taking notice of the WP7 platform, not yet in droves, but in steadily increasing numbers. What we don’t know is how well the applications are selling, which is related directly to how many WP7 handsets have been sold. For now, all we know is that applications are being submitted, they are generally not free, and the phones are being sold. Everything else will become clear over the next few weeks. Did you pick up a WP7 handset, or plan to? If so, what do you think of the Marketplace? *There is a slight discrepancy between the graph data and other data reported on the website. The tables state 1636 apps recorded as of today (the 8th), while the graph reports that total for the 7th. We trust the table over the graph, but there could be a slight percentage incorrectness in either one, so please recall that this is broad data, not a perfect counting. For a full look at the data, we recommend that you scan the data yourself.